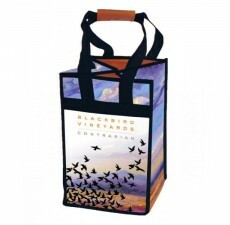 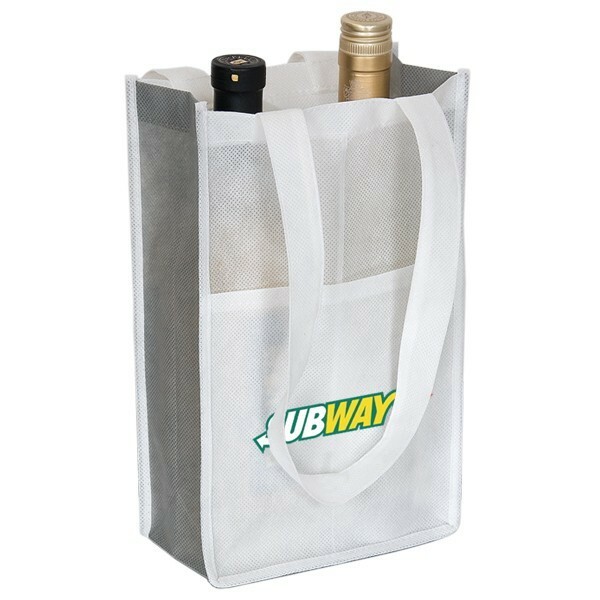 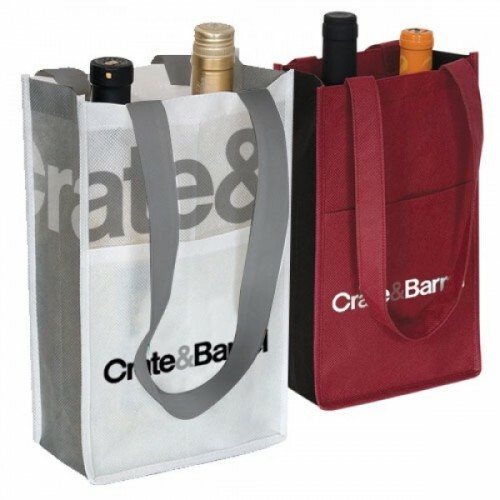 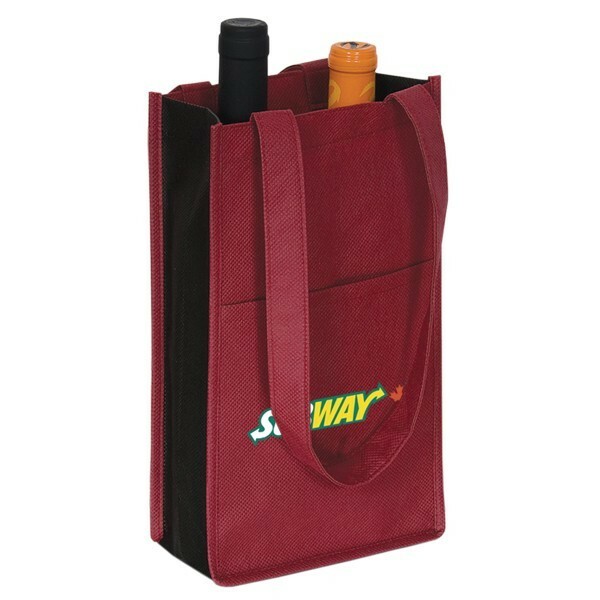 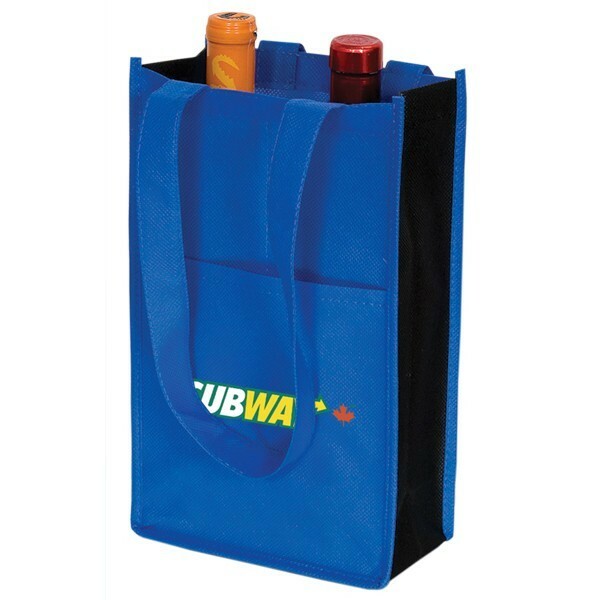 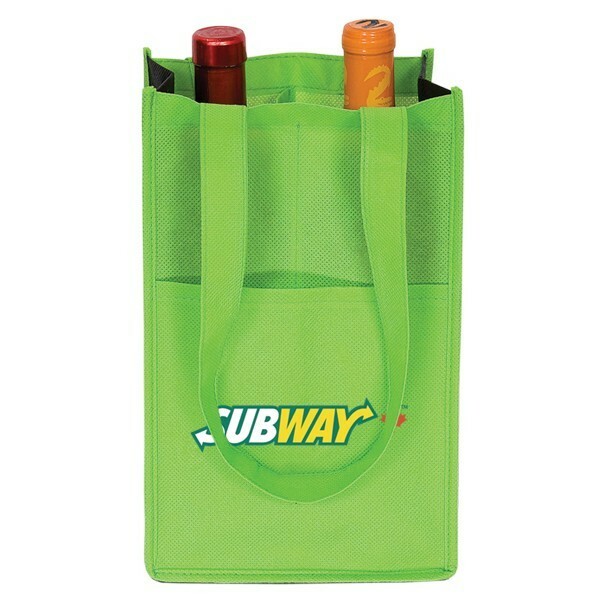 These durable wine bags are made of non-woven 90 gram propylene, which is strong, lightweight, and easy to clean. 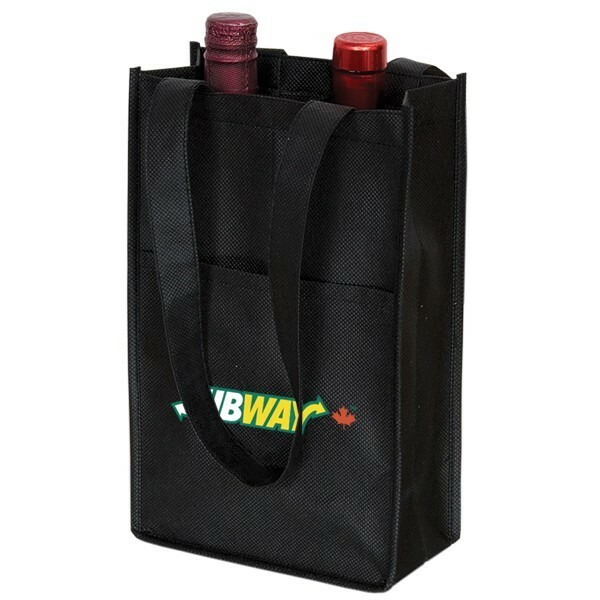 A pocket in the front gives you extra carrying capacity for a corkscrew or another small item. 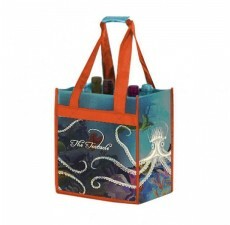 This wine tote bag is also fully customizable! 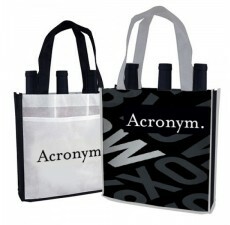 You have the option to choose your colors and use your own unique logo for your custom tote bags. 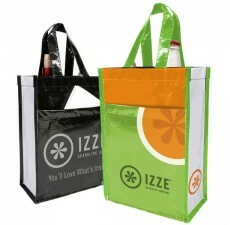 Contact us today to order your own custom tote bags.